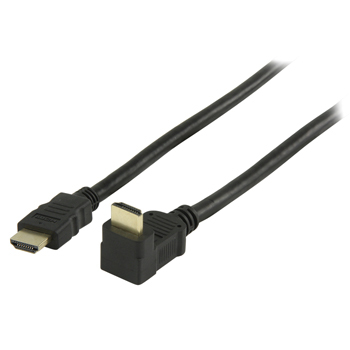 RIGHT ANGLED HDMI CABLE 1M GOLD PLATED - Hdmi Cables Same Day Dispatch On Our Leads If You Order Before 2pm Weekdays. We have these in lengths up to 10m. Click here for our full range. Right angled HDMI cable 1.5M. Right angle HDMI cables are ideal for wall mounted TV's. HDMI lead with 19pin - 19pin gold plated connectors. V1.4 High Speed With Ethernet. Currently viewing: RIGHT ANGLED HDMI CABLE 1M GOLD PLATED - Hdmi Cables Same Day Dispatch On Our Leads If You Order Before 2pm Weekdays.